There was a storm early Monday morning with thunder and lightning, hail and sheets of rain. 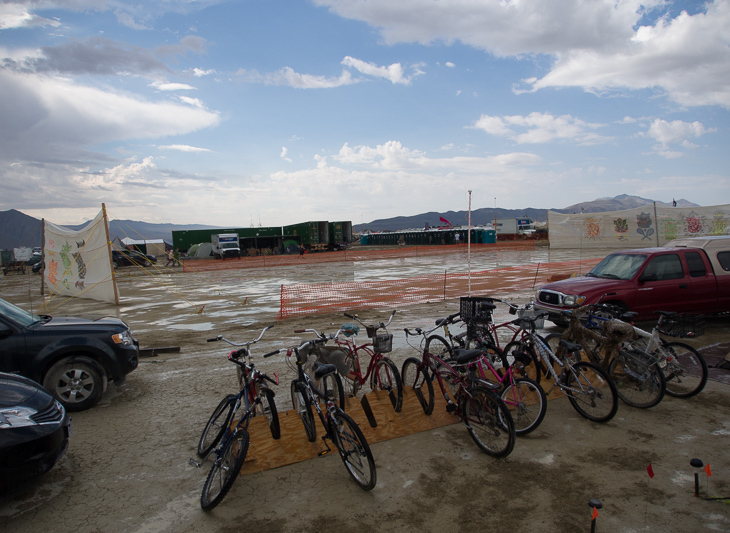 Puddles covered the playa at dawn. As luck had it, we had just finished rolling the tennis court the previous afternoon. The rain saturated the flattened court, and it would soon dry and harden into a thick crust... the perfect court surface!